We love innovation in all its forms. To nourish and support it, we’ve tapped the top experts in the field and developed a full spectrum of services, from project evaluation to fundraising to finding the right market. You have the idea. We have the experience, the knowledge and the industry support to make it happen. 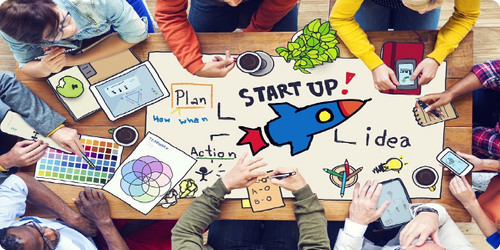 Students and researchers can get the necessary resources and expertise to launch their own projects, become part of a startup or a small business, and connect with angel investors and other interested parties. Investors and business representatives can find technological solutions they need to take their businesses to the next step. Universities with programs in Economics and Business can tap into the real-life experience of working in innovations through guest programs and other events. ITMO University and a group of small businesses working in polymers launched a healing agent “Bioactive Hydrogel Wound Covering” at the XVIII Moscow International Showcase of Inventions and Breakthrough Technologies “Archimed-2015”. ITMO University and “Quantum Communications” Company launched a secure quantum data transfer system for fiber-optic networks at CeBIT in Hanover, Germany. The system transports data not through a logically encrypted algorithm but one photon at a time, making it impossible to intercept. “Educational Robotics,” a company established with participation of ITMO University and a Skolkovo resident, took silver at IEEE International Conference on Robotics and Automation (ICRA – 2015) in Seattle, USA with its working prototype of a “Butterfly” robot that showcases the system for non-prehensile manipulation. Find the right opportunity for you at ITMO Innovations!